Master developer Nakheel said work was progressing as per schedule on the Dh670 million ($182 million) beachfront resort and water park being jointly developed with Spain’s RIU Hotels & Resorts in Dubai, UAE. The 800-room resort is taking shape at Deira Islands, with all accommodation floors almost complete, and roofing work under way, it stated. Façade and installation work at the nine-storey property – the first international hospitality joint venture for Nakheel and the first all-inclusive 4-star family beach resort in Dubai – will begin early next year, it added. Inside the property, floor tiling in the corridors and 800 rooms is ahead of schedule while outside, the resort’s three swimming pools and restaurant and amenity buildings are well under way, said the Dubai developer. 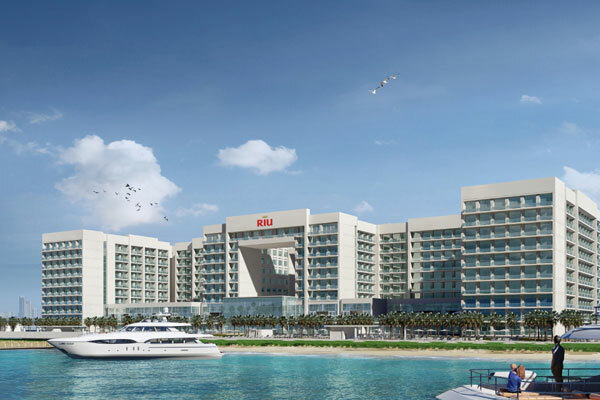 Under the joint venture, Nakheel and RIU Hotels & Resorts are delivering a new hospitality concept for Dubai: 4-star, family-orientated, all-inclusive beachfront accommodation. The resort, RIU’s first in the region, is one of the emirate’s largest in terms of rooms. Located on a prime seafront plot at Nakheel’s new, 15.3-sq-km Deira Islands coastal city, the resort features seven food and beverage outlets, three pools, a fitness complex, children’s club and water park. Two major new Nakheel projects – The Night Market and Deira Mall – are nearby, it stated.